How do we become our most heartfelt self? How do we banish the fears that hold us back? How do we deepen our emotional keel, so that we can feel deeply without being capsized? Focusing on the 3rd and 4th chakras (solar plexus, heart), we will use forward bends, twists, supported backbends, and pranayama to balance ourselves and clear obstacles. 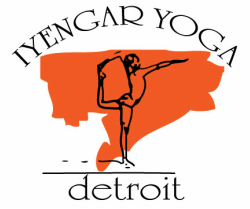 For students with at least 3 months Iyengar Yoga study.